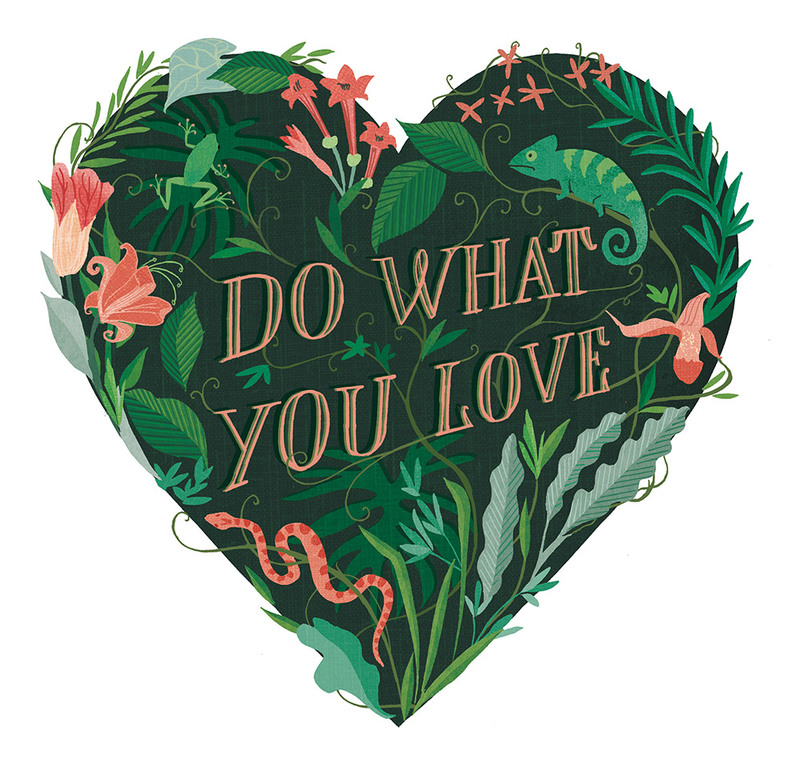 My ‘Do What You Love’ jungle heart illustration. Featuring jungle flowers, foliage and animals in addition to the central hand-drawn inspirational quote. Now available to purchase as a lovely square print for the home from my Etsy site.